A hangar is a closed building structure to hold aircraft, or spacecraft. Hangars are built of metal, ... 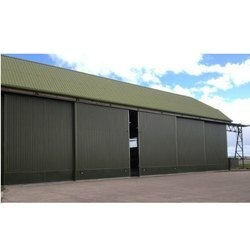 In Britain, the earliest aircraft hangars were known as aeroplane sheds and the oldest survivors of these are at Larkhill, Wiltshire. Looking for Hanger shed ?